Most of us are familiar with the childhood fairytale of Rumpelstiltskin about the beautiful miller's daughter with blonde hair whose father boasted that she was so talented that she could turn straw into gold. The King hears of this and threatens to cut off her head if she doesn't do so. Rumpelstiltskin then promises to help if she will give him her first born son. The Grimms Brothers collected four versions of this story in the German principality of Hesse which they published in 1812. However was this story hiding the secret identity of the lost King Louis XVII who was rumoured to have escaped from the prison around 1794? 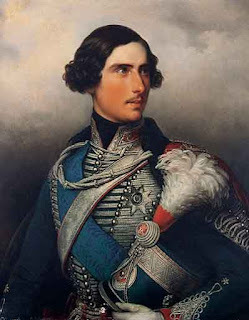 Did the royal House of Oldenburg and their close relatives in the House of Hesse and the British Royal family organise the rescue of the real Louis XVII? Was Baron Gerning a close associate with the House of Hesse responsible for the rescue and replacing Louis with another boy? We know that Baron Gerning was in France in 1792 and witnessed the execution of King Louis XVI. Did the switch happen then or latter in 1794? Rumpelstiltskin refers cryptically to the House of Hesse-Kassel -Rumpenstein and the beautiful blonde with Queen Marie Antoinette and her son with Louis XVII. 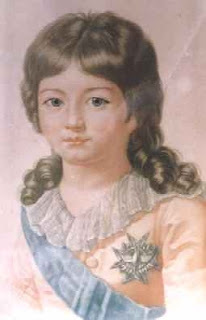 Many in recent years believe that the heart tested as that of Louis was not his heart but of his brother Dauphin Louis -Joseph who died as a boy in 1789 (whose heart wasn't embalmed due to the outbreak of the Revolution). Catholic mystics have always stated that Louis did escape and that the future Great Monarch of Catholic prophecy would be his descendant. Did Baron Gerning give Louis into the care of the House of Hesse who placed him in the care of Prince Frederick III of Hesse Kassel-Rumpenheim (Rumpelstiltskin) who was a Danish General whose mother was an English Princess? Or did Prince Frederick himself participate in the rescue with Baron Gerning? Did he replace their oldest son William (who may have died at this time) with Louis and did he become Prince William of Hesse-Kassel-Rumpenheim? 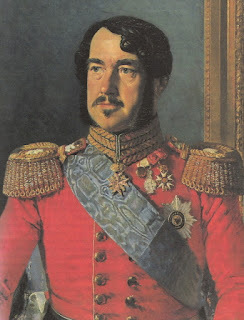 This Prince was the father of the future Queen Louise of Denmark the wife of King Christian IX and an ancestor of Prince Phillip the Duke of Edinburgh. His wife was the Oldenburg Princess Louise Charlotte of Denmark. Was his only son Prince Frederick William (b.1820 d.1884) the true heir to the Bourbon throne of France? 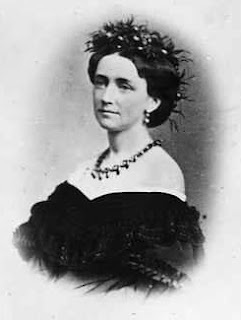 In 1851 Prince Frederick William abdicated his rights to the Danish throne to his sister Louise who was to become the Queen of Christian IX. Was this renunciation partially due to the knowledge that he was not truly an Oldenburg or Hesse but a Bourbon in the male line?